Over the last 10 years, I have been fortunate to learn how to manage my own depression and recognize signs and symptoms in myself and others. As a licensed vocational nurse, I strive to help others as much as possible, especially regarding mental health topics. In March 2017, I lost my best friend to complications that occurred due to a suicide attempt. I knew her for 19 years. She was a beautiful person and an even better friend. The hole left behind by her departure from this world will never be filled. In her honor, I continue to fight for mental health awareness, education, research, and treatment. 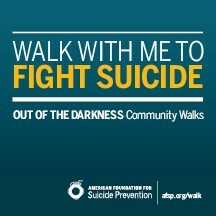 That is why I support the American Foundation for Suicide Prevention (AFSP), which is a voluntary health organization that gives those affected by suicide a nationwide community empowered by research, education, and advocacy. AFSP works to create a culture that is open, supportive, and mentally healthy by engaging in the following core strategies: 1) Funding scientific research 2) Educating the public about mental health and suicide prevention 3) Advocating for public policies in mental health and suicide prevention, and 4) Supporting survivors of suicide loss and those affected by suicide. 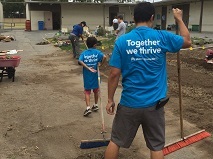 You can support ASFP or the organization of your choosing through Kaiser Permanente Southern California Community Giving Campaign, which runs through October. To sign up, visit www.kpcgc.org. There, you’ll find out ways to contribute and inspire others to do the same by letting them know how your organization is making the world a better place.